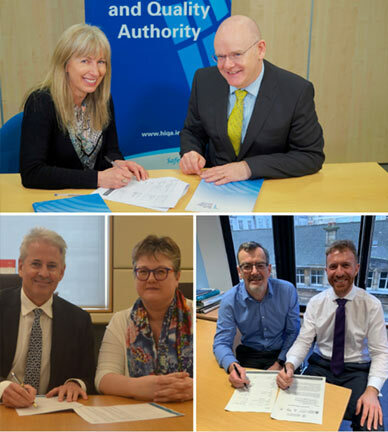 Pictured signing the MoU are Dr Máirín Ryan, HIQA’s Deputy CEO and Director of Health Technology Assessment, and Phelim Quinn, HIQA CEO. Dr Iain Robertson, Chair of Scottish Health Technology Group and Unit Head Edward Clifton. 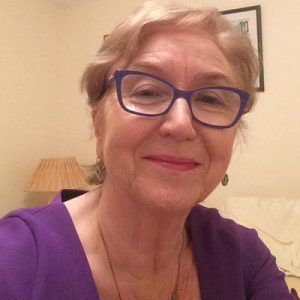 HIQA undertakes HTAs in Ireland to inform national policy and health service decisions. The MoU establishes a collaborative approach to the identification and assessment of new health technologies between HIQA, Health Technology Wales and the Scottish Health Technology Group. These bodies assess and give guidance on health technologies within their national healthcare systems. HIQA has recently worked successfully with the Scottish Health Technology Group on each country’s national assessments of mechanical thrombectomy to treat ischaemic stroke. HIQA, along with the other HTA bodies, will be attending the Health Technology Assessment International (HTAi) Annual Meeting in Cologne in June 2019 to present the progress made through this new strategic alliance.